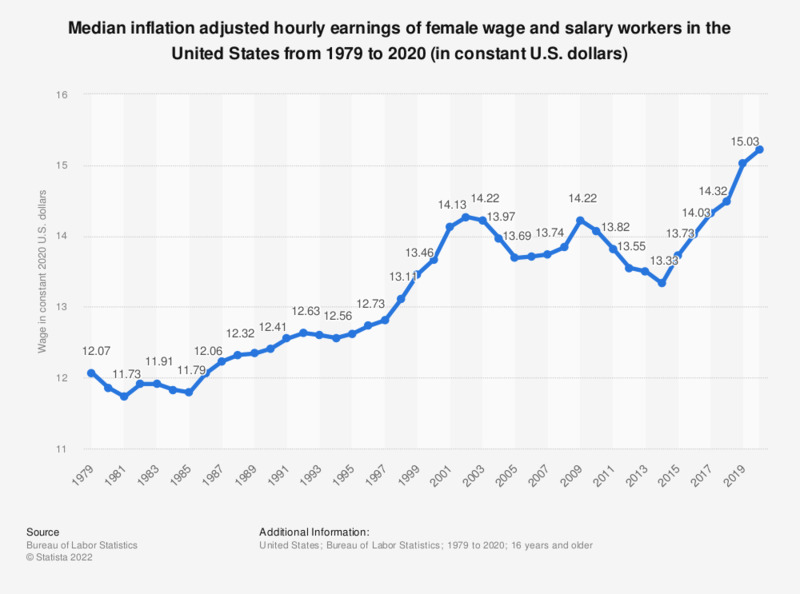 This statistic shows the median hourly earnings of female wage and salary workers in the United States from 1979 to 2017. In 2016, the usual median hourly rate of a female worker's wage in the United States of America was 13.56 U.S. dollars. Dollar value is based on 2017 U.S. dollars.